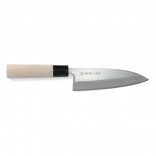 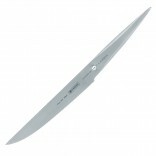 The more expensive the knife the more the blade is sensitive to being damaged due to its extreme hardness. 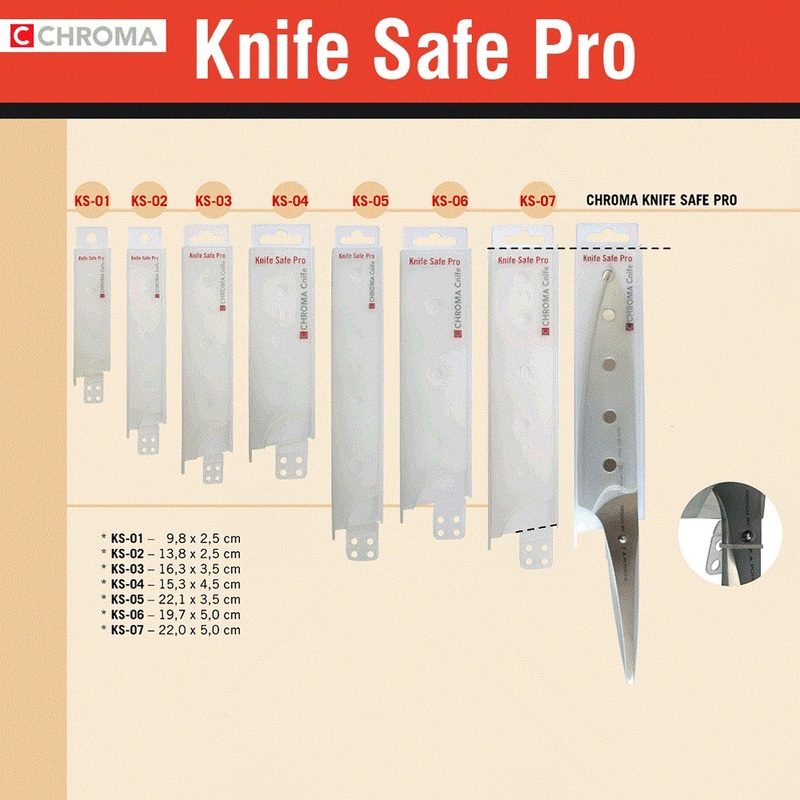 Besides storing your knives in a wooden knife block, using a Knife safe Pro Blade Cover is the best and cheapest way to keep your knives safe and sharp. 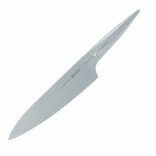 In addition, the Knife safe Pro Blade Cover KS-05 is the ideal accessory to transport your knives safely to work. 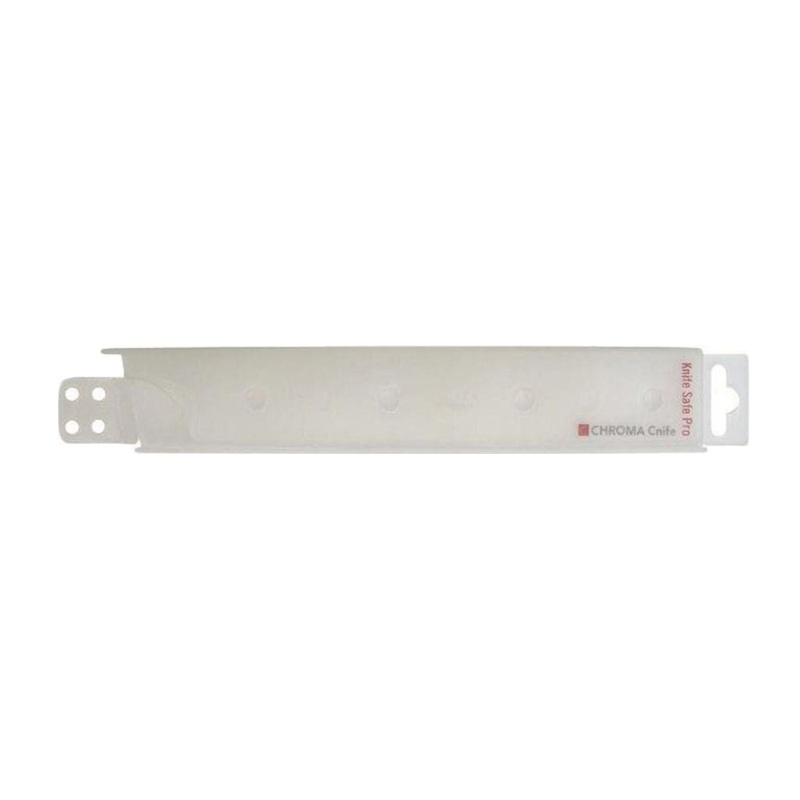 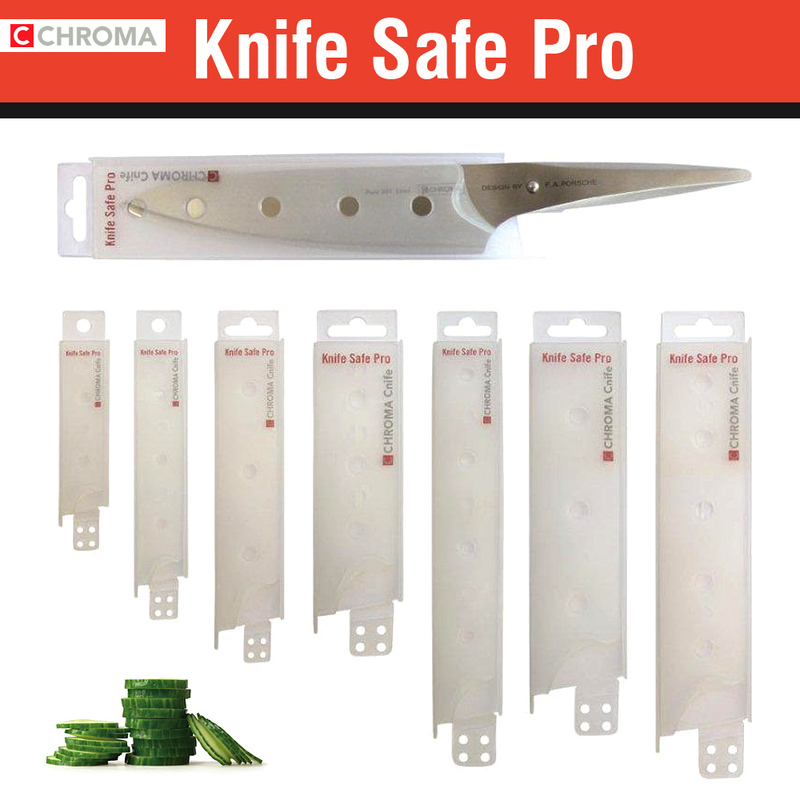 These specialty knife protection covers are made from robust plastic and are designed to be pulled over the blade completely. 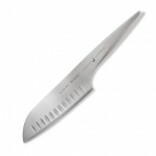 If required you may secure the knife against being pulled out by using a cable clip. 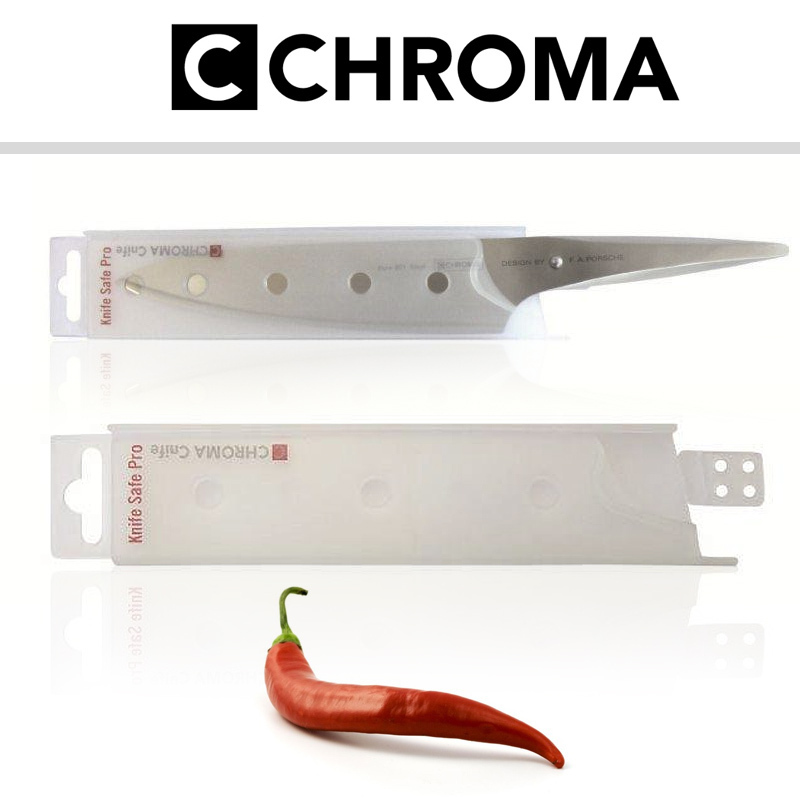 Chroma Knife Safe Pro Blade Covers are available in 7 different sizes from 9,8 cm to 25 cm length and 2,5 cm to 5 cm width.